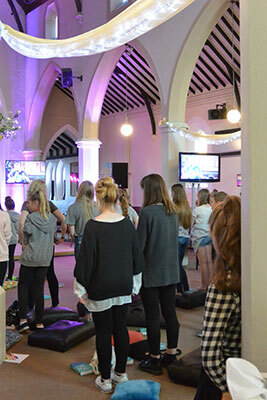 Chill is our Youth Group at HT for school year groups 10 to 13 with activities on both Sunday evenings and throughout the week. Chill has a great mix of different people, which means there’s no end to opinions or thoughts in our open discussions! 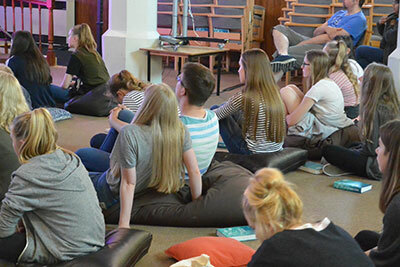 At HT Aylesbury we are keen to provide opportunities for all young people to engage with Jesus and to spend time with other young people asking similar questions about life. 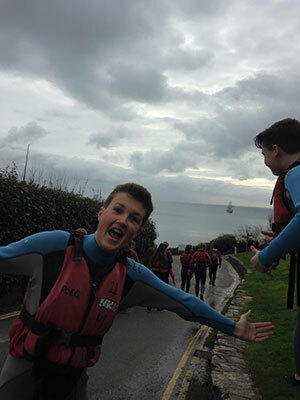 We have a busy youth programme, in which we hope there is something that everyone will be able to enjoy. Get in touch, and come along – we’d be really happy to see you!! 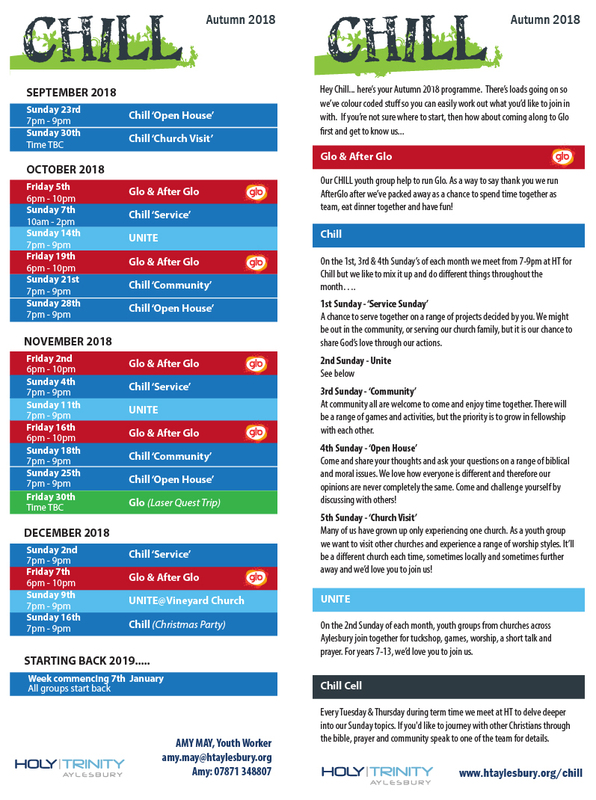 Why not get involved at Glo Youth Cafe twice a month – there’s loads to do, and we make a great team! 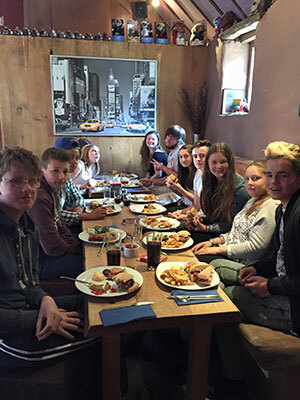 As well as running Glo Youth Cafe we do other stuff like eating great pizza, getting together for fresh and relevant worship times and where we find out what the Bible has to say about doing life as a teenager. We like games of extreme UNO, film nights, raising money for projects, finding ways of getting involved in community action, and lot’s more. We want to show our town that teenagers are a great part of the community – so we look for opportunities to get out and about, and show our faith in action – big or small. 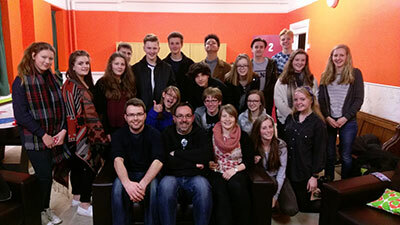 Joined with Broughton Church, Chill Youth Group meets every Sunday evening at HT, but we like to mix it up and do different things throughout the month…. On the 1st Sunday of each month we meet from 7-9pm at HT for Chill Service. Service Sunday is a chance for us to serve together on a range of projects decided by you. We might be out in the community, or serving our church family, but it is our chance to share God’s love through our actions. On the 4th Sunday of each month we meet at from 7-9pm at HT for Open House. A chance to come and share your thoughts and ask your questions on a range of biblical and moral issues. We love how everyone is different and therefore our opinions are never completely the same. Come and challenge yourself by discussing with others! At Tuesday cell we love to play board games, card games & talk super heroes! You can come along straight from school expecting a warm welcome, great snacks, and lively conversation. At Thursday cell we love Jaffa cakes. We gather to eat dinner together every week, followed by the chance to share news, ask questions and journey towards Jesus together. We invite those in years 10-13 to help lead Glo and this involves setting up, running activities, being positive role models, befriending others and giving feedback about how we can improve Glo. As a way to say thank you we run AfterGlo after we’ve packed away as a chance to spend time together as team, eat dinner together and have fun! In previous years we have taken Chill to France, Cornwall & Somerset. 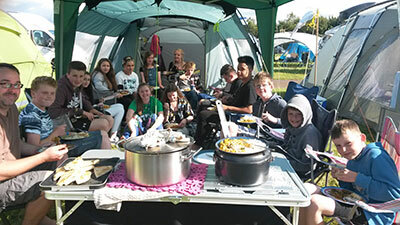 We are currently taking bookings for our 2018 residential to Soul Survivor festival (Week C), Peterborough in August. Get in touch if you’d like to join us! 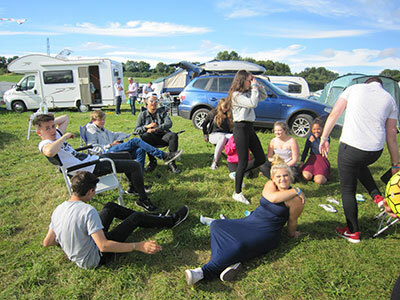 Check out this year’s promo video – www.soulsurvivor.com and ask friends who went in 2017 about it! Details of some one-off day trips will be popping up throughout the year so keep on the lookout for them! 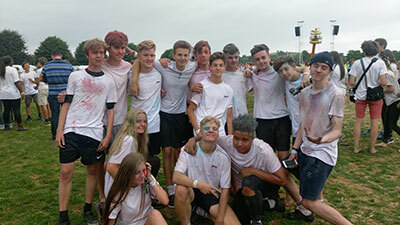 Previously we have been to places such as laser quest, paintball, bounce MK, [REBOOT], Wendover Woods, The Works and many more. Members of our Chill Youth Group have recently got involved with packing boxes at the Aylesbury foodbank and we’d love you to join us! It is a great way to serve the local community and it’s actually pretty good fun! We are always looking for more opportunities too so if God has given you a passion for something and you want to join with friends to make a difference we would love to hear about it!